Guest can cancel free of charge until 30 days before arrival. 50% of there stay if they cancel in the 30 days before arrival. The total price if they cancel in the 14 days before arrival. The total price if they do not show up. Guest can change reservation and reduce numbers 30 days before arrival at no charge. If guest has a reduction in numbers in the 30 days before arrival, there are no price reductions and the cancellation policy remains the same. $40 cleaning fee per reservation is charged at check-in. $100 refundable security deposit charged at check-in. It is refunded upon check-out if no damages are reported. The Lahaina Beach House is a newly renovated, clean, and cool property located right off the famous surf spot 'Break Wall' in the heart of Historic Lahaina Town in Maui, Hawaii. We offer mixed rooms, girls-only rooms & private rooms. Beat the Lahaina heat indoors in our central air-conditioned rooms or enjoy cool sea breezes on our Sun Deck. Ease through our garden-style yard filled with varieties of flowers, trees and plants. This spot is perfect for those looking for an affordable get away for surfing, relaxation, or a local staycation. The property offers ample parking, and has on-site management. This luxurious shared accommodation is also available for private events. 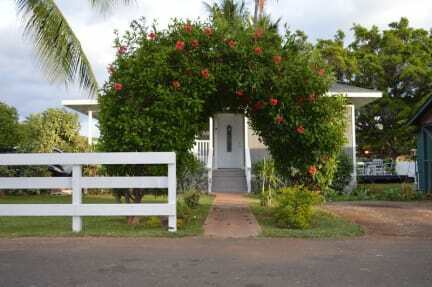 The Lahaina Beach House your convenient, affordable, and comfortable way to stay in paradise. The Lahaina Beach House is 50 steps from the beach and situated on world-reknowned Front Street. The beach house is in walking distance to shops and restaurants, tours and other attractions. Activities like surf lessons, surf board & stand up paddle rentals, whale tours, boat tours & luaus are within a 5 minute walk. Mornings offer great conditions for surfing most parts of the year and evenings provide picturesque sunsets with breathtaking views of the islands of Kahoolawe and Lanai. You may cancel free of charge until 7 days before arrival. You will be charged the first night if you cancel in the 7 days before arrival. Check-in from 15:00 to 18:00. Self Check-in from 18:00 to 0:00. Payment by credit cards or debit cards..
Total Payment will be charge 12am on the day of your arrival. Taxes not included - 14.42% will be charged upon arrival. 10.00 USD cleaning fee is charged per single bed reservation at check-in. 40.00 USD cleaning fee is charged per private room reservation at check-in. 100.00 USD refundable security deposit is charged at check-in. You are refunded upon check-out if no damages are reported. 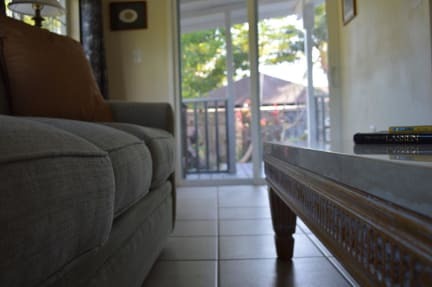 The Lahaina Beach House and its owners are not responsible for any accidents, injuries or illness that occurs while on the premises or its facilities. The Lahaina Beach House and its owners are not responsible for the loss of personal belongings or valuables of the guest. By accepting this reservation, it is agreed that all guests are expressly assuming the risk of any harm arising from their use of the premises. No moving of furniture. Keep the property and all furnishings in good order. Parking: Parking is limited to 1 vehicle. Vehicles are to be parked in designated parking areas only. Any illegally parked cars are subject to towing; applicable fines/towing fees are the sole responsibility of the vehicle owner. Garbage: Any garbage must be stowed in the proper garbage or recycling receptacle. No candles or open flames on property. Do not flush anything other than toilet paper down the toilet. No feminine products should be flushed at anytime. If it is found that any foreign items have been flushed and it clogs the plumbing system, you will be charged damages up to 100.00 USD. Do not dispose of large pieces of food or other foreign items that may cause damage down the garbage disposal. If abuse is apparent and it clogs the plumbing system, you will be charged damages up to 100.00 USD. No footwear in the house. No food or drinks in the bedrooms. Wash all sand off using the hose outside before entering the house. Do not sit on furniture with wet swimsuits or with suntan oil on.